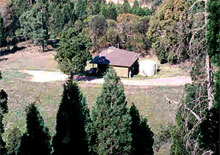 Kirima Cottages is just 6km from the Post Office, heading west on Market Street towards Gulgong. 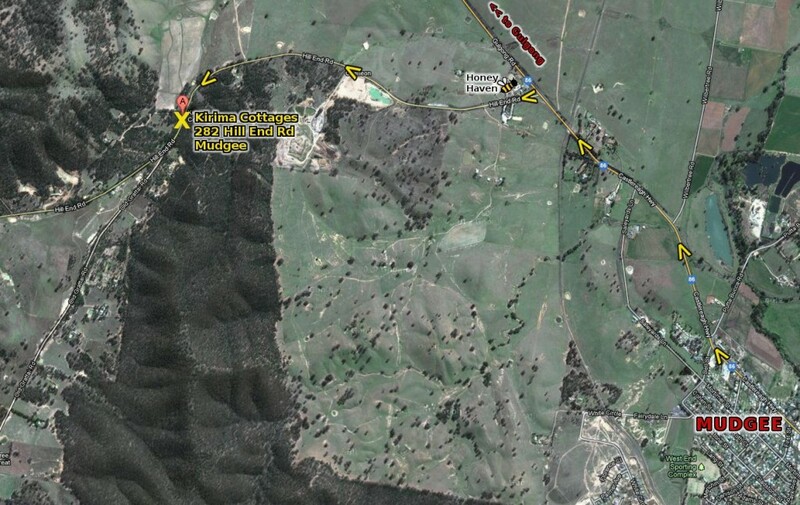 Turn left at the Honey Haven where you’ll see the Hill End sign, and travel for 2.4km. You’ll see a sign for “Kirima Cottages” on the left side of the road indicating to turn right into the green gates which lead to the cottages. Up ahead you will see a small building: the Reception/Laundry. Please take a look at the notice board to see what cottage you are in. Make your way to the cottage and the keys will be inside.